My favorite part of Drupal Camp is usually the informal BOF (Birds of a Feature) sessions. I love the discussion format and peer to peer sharing among people with a shared interest or curiosity. 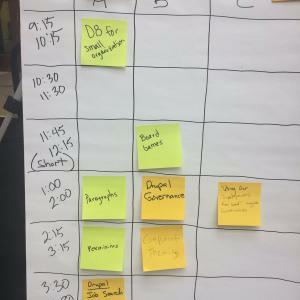 At Twin Cities Drupal Camp, I have championed a BOF agenda for the last few years, making sure that we have good space and visibility for BOF sessions. I've also encouraged people to schedule BOFs and I make a point to show up for as many BOFs as possible. 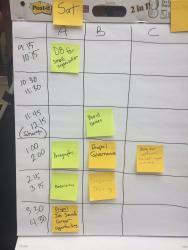 At Twin Cities Drupal Camp this year (similar to last year), we'll have space in the main exhibit hall for BOF sessions and we'll have prominent flip charts where anyone can add a session to the schedule. If there is something that you want to talk about, please post it on the schedule and let folks with a similar interest find you. With the possibility of posting a BOF, everyone has the opportunity to help shape the camp agenda to address whatever issue is most pressing to them. I always come to every meetup or camp with a few questions in my back pocket. Things I'm working on, but need input or advice from other developers. 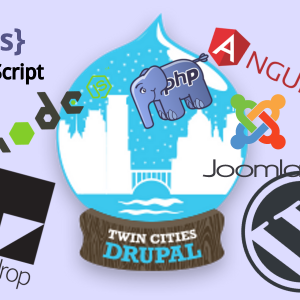 Here are a few of the questions I have in my back pocket for Twin Cities Drupal Camp (2018). Best way to track traffic on multiple sub-domains using Google Analytics? 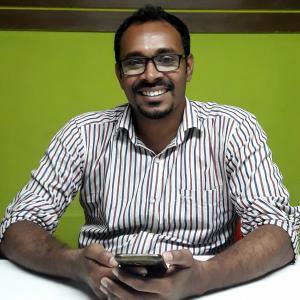 Best way to customize or filter the content of an incoming RSS feed for display?